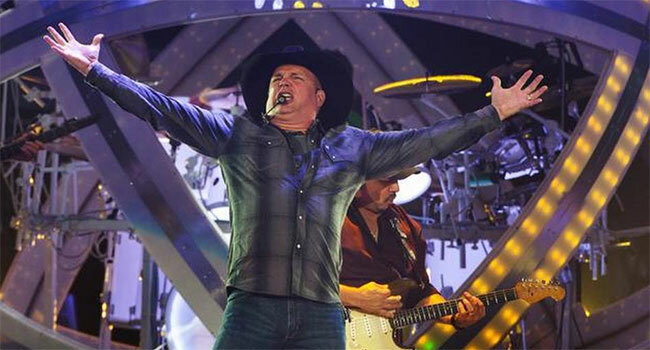 As the North American run of the Garth Brooks World Tour with Trisha Yearwood winds down, Brooks has announced he’s coming to Spokane, WA for the first time in 19 years. The concert will be Saturday, November 11th at 7:30 pm at Spokane Arena. It’s the last stop on the tour for Oregon, Washington, Idaho and Montana. The tour is presented by Amazon Music Unlimited. Tickets will be on sale Friday, October 6th at 10 am PDT. There will be an eight ticket limit per purchase. Tickets can only be purchased at SpokaneArena.com/Garth or 1-844-442-7842. Please note there will be no ticket sales at the venue box office or outlets on October 6th. Tickets will cost $63.30 plus a $4.18 tax, a $2 facility fee and a $5.50 service charge for a total of $74.98. All seats sold are best available. Last week, Brooks announced his return to the Tacoma-Seattle area with a show on November 4th. The Garth Brooks World Tour with Trisha Yearwood has sold more than 5.91 million tickets since its launch in Chicago in September 2014. The tour will wrap sometime in December in Nashville. This morning, Brooks announced part one of a five part Anthology book/CD series, coming November 14th. Part 1, The First Five Years, is a detailed look at the first five years of his career told by Brooks himself and those involved with the creating, recording, and promotion of the first five albums. The book also comes with five CDs featuring 52 songs with 19 new, unreleased and demo versions of some of his biggest hits.